Welcome to my WingChun Blog. Thanks your interest in WingChun. I can help you learn about WingChun to increase your Self-Defense skills, knowledge and confidence. Reading my articles will give you insights into WingChun theory, technique and training. If you want me to cover a specific topic, feel free to contact me. The time is now. Life has its ups and downs, its highs and lows. Things start and end, people come and go. But there is an eternal constant, which is the chance to change. That means no matter how hard or bad the moment is, there is always a way to keep going, to keep growing. We can dig down into our own inner resources to survive. But to thrive, allies really help. Occasionally I get emails from all over this Earth asking me about WingChun technique. These inquiries hail from India, Jamaica, the Philippines, Canada, Australia, Taiwan, Germany, and many more countries, let alone numerous cities throughout the United States. That is the beauty of the so-called World Wide Web. I enjoy hearing from my readers and fans wherever on the planet they are. In appreciation for them reaching out, I always do my best to answer their questions. Increasingly, I receive requests for online training. Unfortunately, I have to decline them. Perhaps I am conservative but I don’t feel like it is possible to responsibly pass on our teachings without being in the presence of my students. I agree that some knowledge may be transmitted via the internet. But there is so much that cannot be absorbed. First and foremost is the utter lack of tactile feedback. You must feel, rather than just see, or hear how WingChun works. Sihing Ayron Johnson guest posts his tips on correctly doing one of our fundamental stances in IAW WingChun. I sometimes call the Jing San Ma (Frontal Body Stance) the “mother stance” from which the other stances are derived. The subtle adjustments you need to stabilize it seem easy, but the key is to find the feeling. Sihing Ayron details the main things you should consider to stand strong. Enjoy the read, then train well! I am pleased to share a guest post by one of my students. Evan has been training for about a year and is currently preparing to test for the 5th Student Grade. I admire him for the consistency, attitude and intelligence he brings to our class. Read about his experience so far integrating the lessons of WingChun to his life in the new year. As a WingChun practitioner entering intermediate levels of study, I have had moderate time to reflect on the significance of my training. I have started down the long, winding path to personal growth through “becoming” WingChun. There is no end to this road, no material rewards, and no easy answers. What it offers instead is the opportunity to “learn how to learn”, so to speak. Sifu Paul Wang with Dai Sifu Klaus Brand at 2014 Spring Camp in the Marin Headlands, California. Have you noticed that, for all its vast benefits, technology feels draining at times? Perhaps you are better adapted to it than me. I admittedly have a limited capacity for digital distractions. Then I begin longing to roam sun-speckled trails, especially those decorated with carpets of spongy moss and fungi-rimmed logs felled to earth by lightning. For me, an elemental elixir of sun, wind and dew must occasionally pour into my pores. Otherwise, without this primal nutrition, my modern existence insidiously fades to robotic routine. "Sifu Paul is not only an extraordinary WingChun practitioner, he is also an amazing teacher/mentor with a vast knowledge of physics and body mechanics and their relation to Self-Defense. In addition, he has a great teaching style that is friendly, humorous, down-to-earth, and encouraging. He is not one of those martial arts instructors that will tell you to do something without a logical explanation. Instead, he will explain in detail the reasons for each of our techniques." 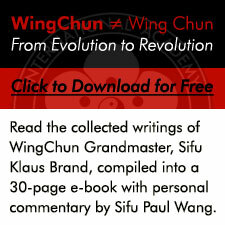 "Sifu Paul Wang's skill is formidable and inspiring. His transmission of knowledge is very clear and he's approachable with any questions that come to mind." "He was absolutely awesome. He has the perfect blend of seriousness and humor, of professionalism and an ease connecting with people. Even one hour with him made a profound impact on the kids and myself! We learned and embodied some very important principles, along with some very powerful tools that we could put into practice immediately. I highly recommend Paul's mentoring to anyone looking to grow themselves mentally and physically." "Sifu Paul Wang has created an atmosphere at his Academy in which everybody feels both welcome and encouraged. Since I have joined, my bones have become denser and my mind has become quicker. It's also fun to train with people of all genders, ages, and body types." "If you are going to really commit to learning a Self-Defense system, I think it's so important to enjoy the community of people you'll be studying with. That's a major reason why I love studying WingChun at this Academy with Sifu Paul." "The IAW style of WingChun has taken a Self-Defense approach which is originally what this art was intended for. With this idea Sifu Klaus Brand (IAW Grandmaster) and Sifu Paul (IAW-US Leader) deliver an incredible curriculum for Self-Defense. The Academy has a very friendly atmosphere with humor and great community. At the same time it delivers precise and applicable techniques that can be used in a Self-Defense situation." 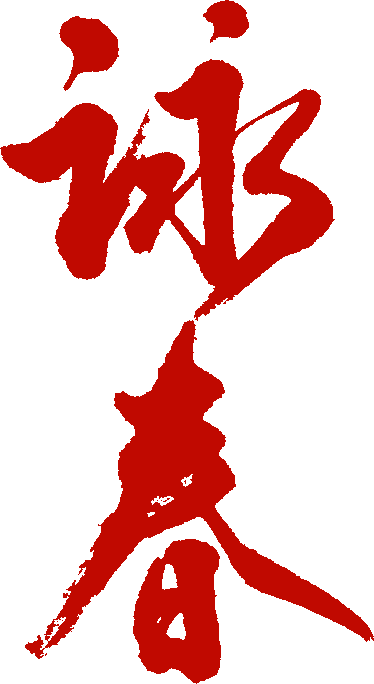 "I went to International Academy of WingChun in Berkeley and was impressed by what I saw. The effectiveness and efficiency of the WingChun style is readily apparent. However, even more impressive was the supportive atmosphere of the school. The WingChun style was completely new to me. Yet, Sifu Paul and his staff were all incredibly patient and supportive, allowing students to learn in an individual pace. At the same time, Sifu Paul's skill and dedication to the art are unquestionable. I would recommend the WingChun style and the IAW to everyone." "As someone who has practiced multiple martial arts in college (UCMAP), I can say that this school has a very honest dedication to furthering a person's ability to defend themselves. Sifu Paul, as the leader of this school, is very thorough with his explanations and patient with his students. He helps foster a very friendly atmosphere within the school which allows everyone to learn at their own pace. Moreover, he lives by what he preaches."